One of the City’s most influential shareholder groups has issued a warning about planned changes to a multimillion-pound bonus scheme at Sports Direct, the retail chain run by Mike Ashley, the owner of Newcastle United football club. The Investment Management Association (IMA) issued its “red top” alert – its most serious warning signal about corporate governance breaches – ahead of the retailer’s annual shareholder meeting next week because of concerns over pay. It is understood to be among a number of shareholder groups to have expressed concern that investors are being asked to approve lowering profit targets for the long-term share bonus scheme. The four-year bonus scheme was approved by shareholders last year but Sports Direct wants to lower the profit performance target for the current year to £420m from £480m. It says this change is necessary because planned acquisitions did not materialise and profit targets for the following three years of the scheme remain in place. But some shareholder groups, including the IMA and advisory body the Pensions & Investment Research Consultants, have expressed concerns about the lower targets. Under the scheme, Dave Forsey, the Sports Direct chief executive, is in line to to be awarded up to 1m shares – worth £8m at today’s share price – while the finance director, Matt Pearson, is in line for up to 30,000 shares worth £241,000. Hundreds of store managers and employees at the company’s head office also qualify for awards. But thousands more staff on zero-hours contracts are not included in the scheme, an issue which is the subject of legal action. Sports Direct is also facing controversy over the re-election of its chairman, Keith Hellawell, at its annual meeting on 9 September. 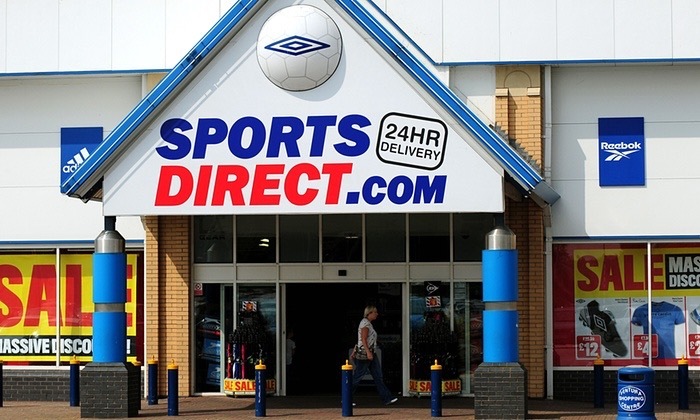 New rules giving increased rights to minority shareholders mean that Ashley, who owns a 55% stake in Sports Direct, can be challenged for the first time on the election of non-executive directors. Posted on September 4, 2015, in #retail, #uk, How not to do retail ..... Bookmark the permalink. Leave a comment.